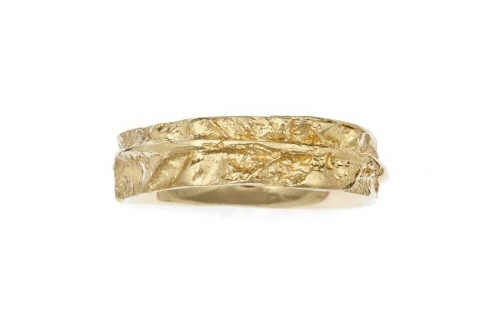 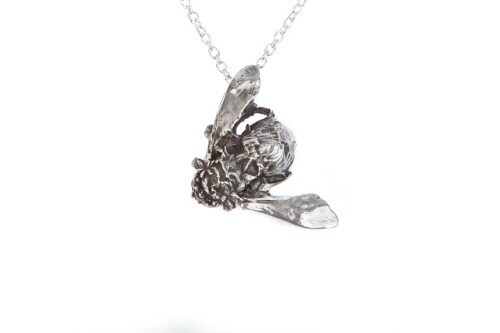 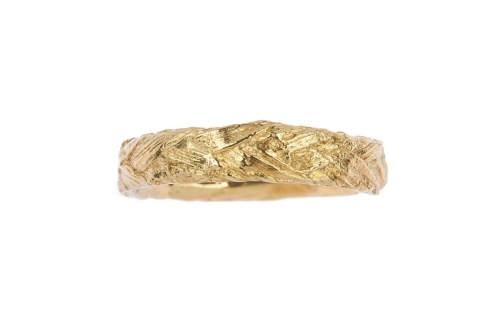 Meadow grass has been carefully plaited to create this finely textured organic band. 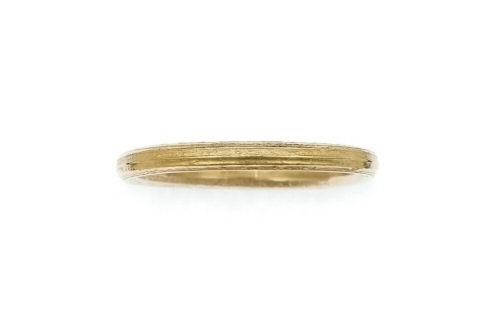 The delicate grass design continues all around the ring, the finest textures are retained from the original natural form which is now in solid 18 ct yellow gold and set with a round brilliant cut 0.06ct diamond. 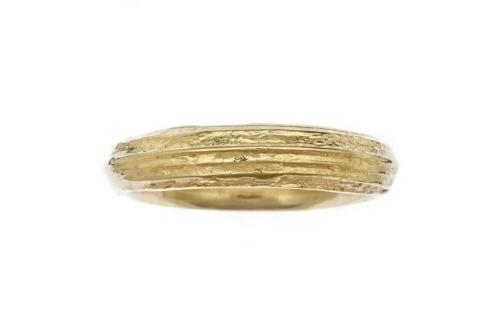 The inside of the plaited grass ring is slightly rounded with a high polish, the diamond set band is 4 mm in width, it can be made in white or rose gold. 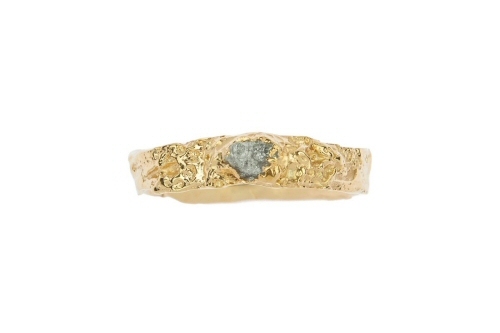 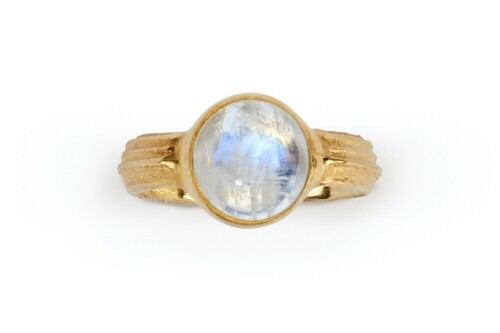 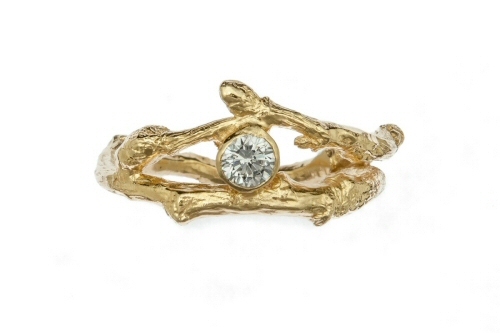 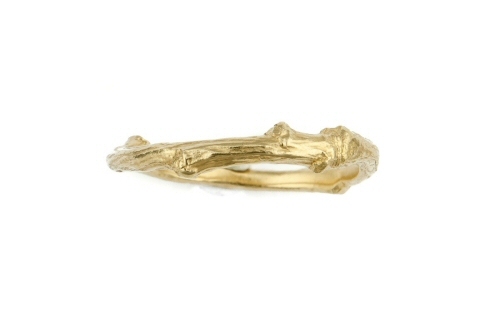 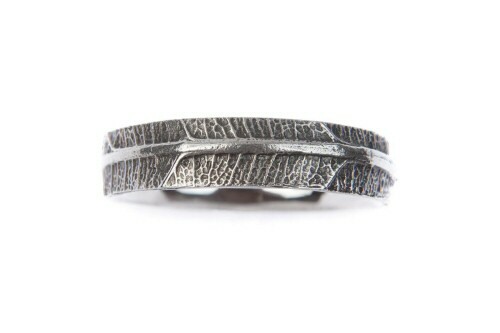 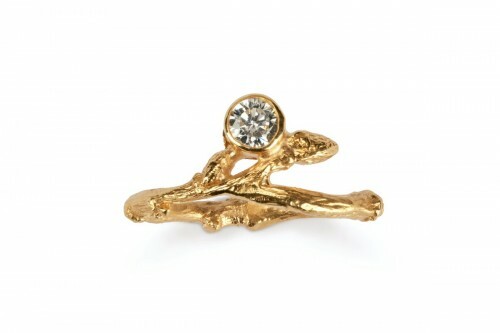 This ring is perfect worn individually, stacked with other bands, or paired with a twig band to create a woodland wedding set. 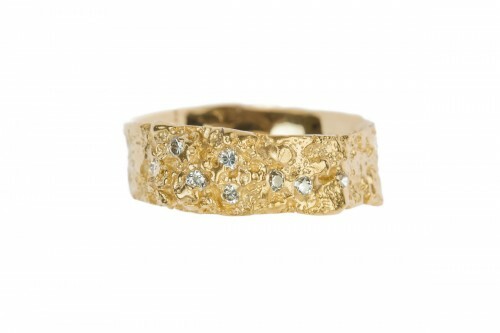 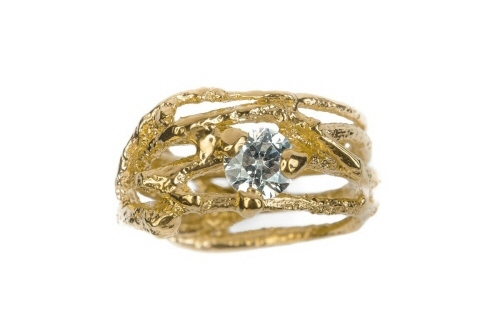 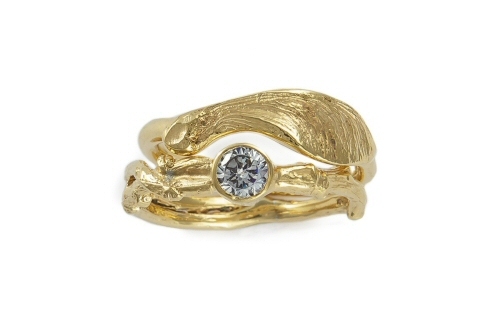 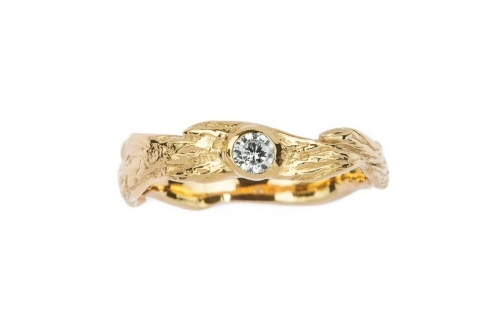 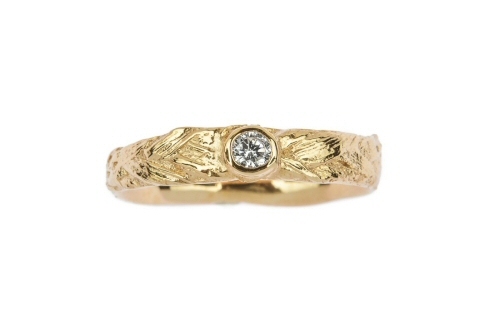 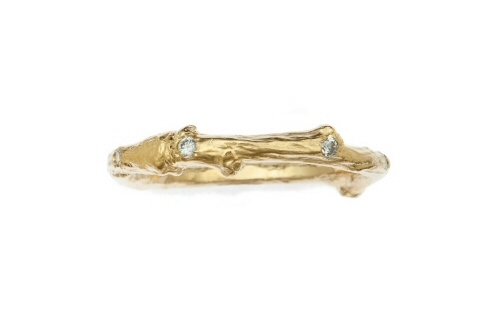 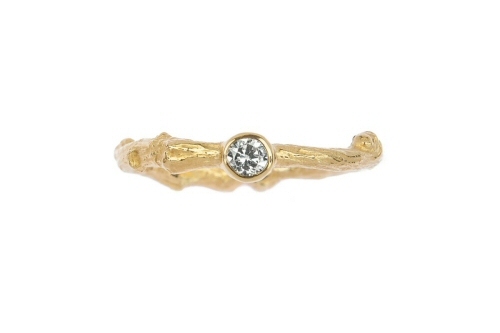 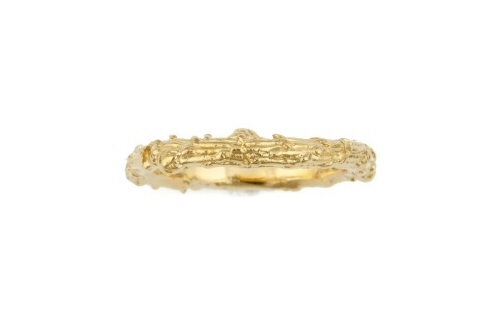 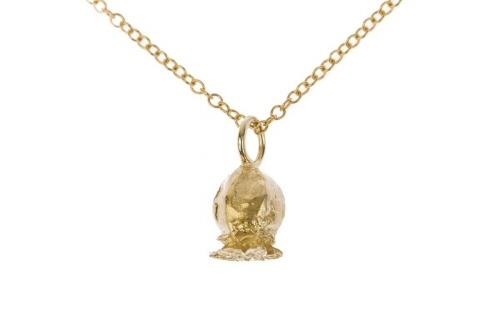 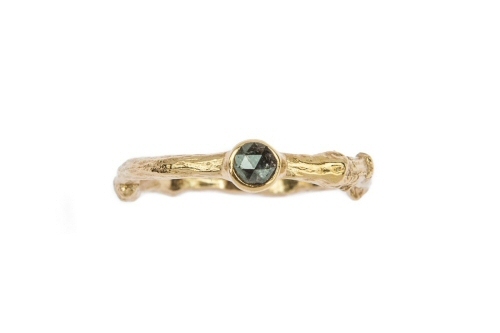 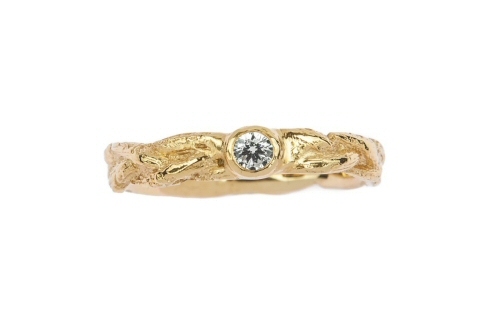 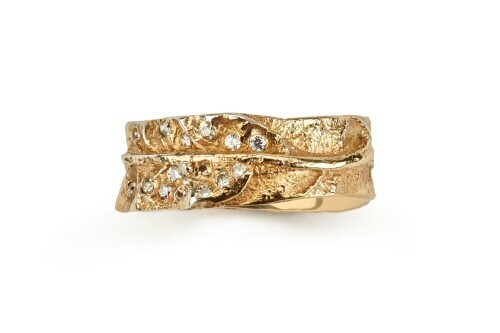 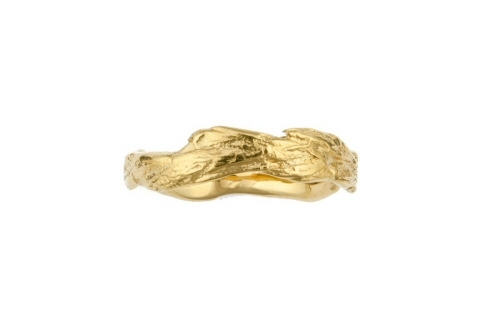 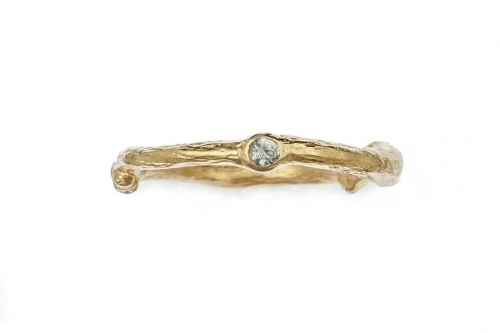 The plaited grass diamond ring is handmade in Oxfordshire, and carries a Birmingham hallmark.